For lowering the bra back when wearing low back and backless fashions. 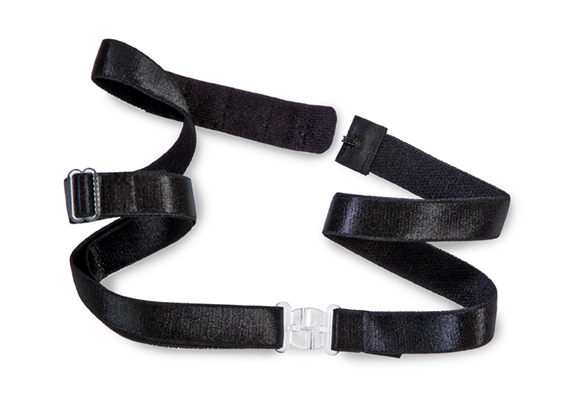 The Bra Back Converter lowers the back band by 2 to 3 inches so it will not be seen. It attaches around the front waist area and has an adjustable slider for added comfort.